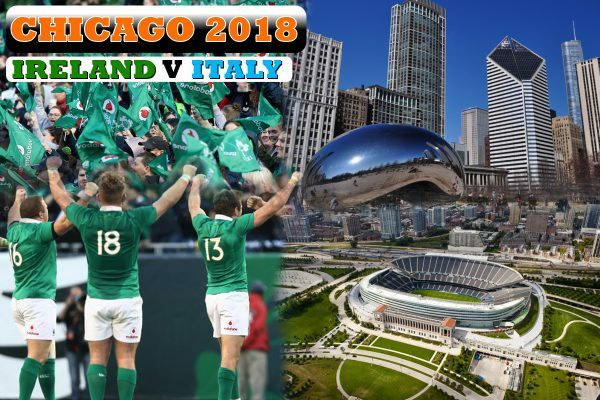 The IRFU have announced Ireland will play Italy in Chicago in November. Who can forget that weekend in Chicago in November 2016 when Ireland defeated the All Blacks for the first time. Chicago welcomed with open arms the Irish supporters so no doubt this will turn out to be another unique and unforgettable experience. Prices Based per person sharing, room only basis - Additional supplement will be added if Single occupancy room is required. Depart Dublin Airport at 11.30am. Arrive in Chicago O'Hare Airport at 15:10 (Local Time). On Arrival you will be transferred to The 4* Godfrey Hotel for Check-in. Evening at Leisure. Day Free to Explore Chicago. Transfer details to be confirmed. Transfer from Hotel to Chicago O'Hare Airport. Depart Chicago O'Hare at 20:30. 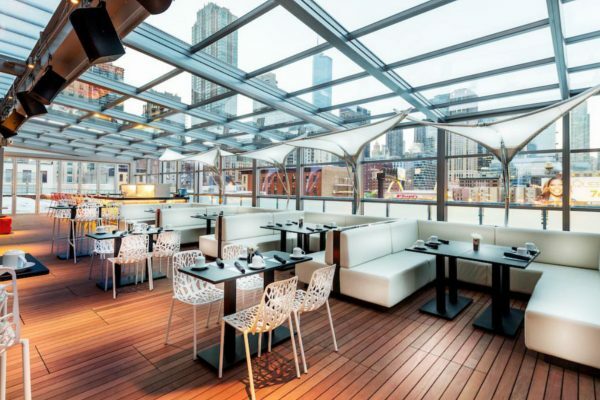 Make the most out of your free time in The Windy City. Chicago offers a wide range of attractions to it's visitors. Below are some suggestions of how to spend your free time while you're not cheering on the Boys in Green. Whether you are looking to do some early Christmas shopping, Check out the impressive architecture or immerse yourself in Chicago's boundless culture, there are endless things to do! 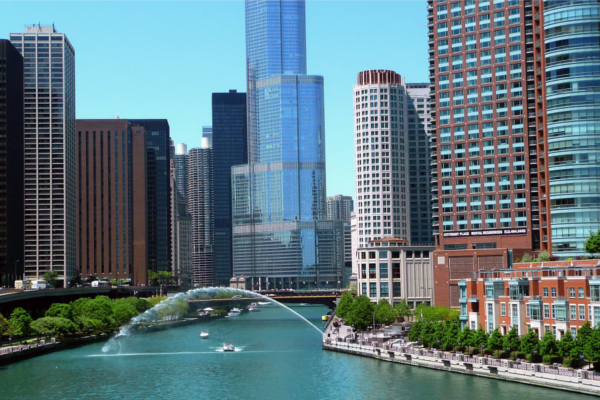 Situated on the south bank of the Chicago River, the pedestrian-friendly Chicago Riverwalk stretches 2kilometres from Lake Shore Drive to Lake Street. Along the way you will find trendy cafes, wineries & bars, public art displays, monuments, museums, and an abundance of excursions on the water. 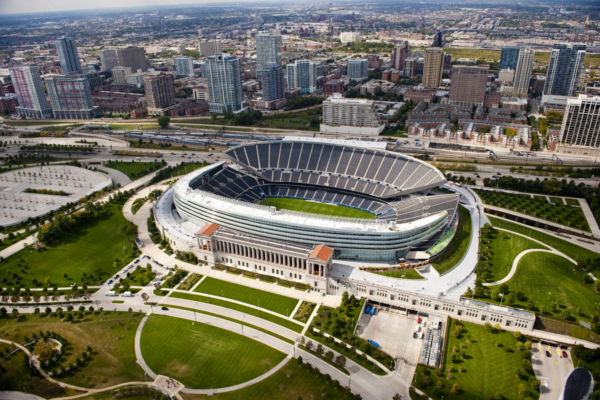 Since it opened in 2004, Millennium Park has become a firm favourite for visitors to Chicago. 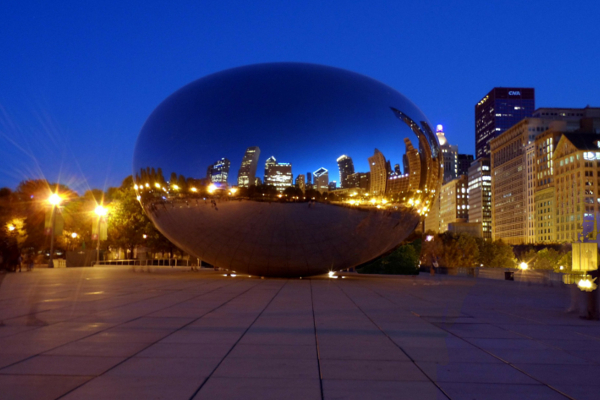 Get your photo taken at the famous Cloud Gate (known to most as "the Bean") and stroll around the Serene Lurie Gardens. Millennium Park is one of the most popular places to spend time outdoors in the City. Not many cities can claim to have a blues heritage quite like Chicago's. The city still has numerous top class blues clubs, often featuring legends from the genre’s prime. The abundance of interesting things to do makes Navy Pier a fantastic place to visit. Situated by the waters of Lake Michigan, Navy Pier is the home to a 200 foot Ferris wheel which gives breathtaking views of the city. Christmas will be just around the corner when we arrive. Why not get some of that Christmas shopping out of the way. Make sure you have plenty of room in your suitcase! 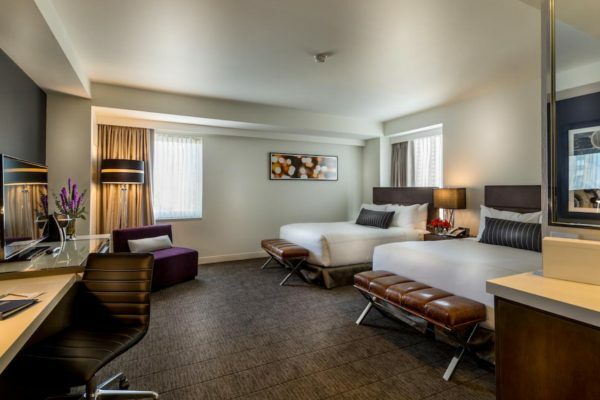 Located 3 blocks away from the shopping, dining and entertainment on the Magnificent Mile, this boutique hotel is located in the heart of Chicago’s River North district and offers on-site dining options, 24-hour fitness centre, spa and free WiFi. 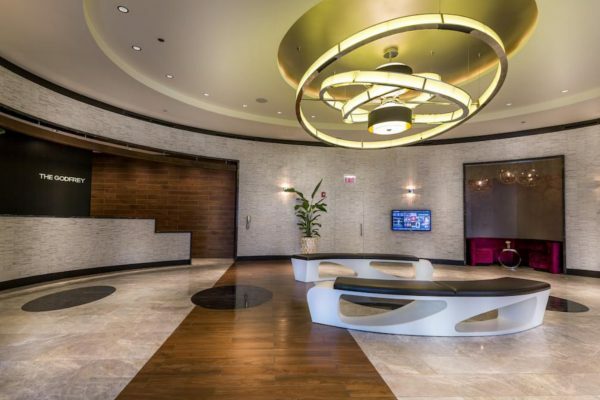 Adorned in stylish contemporary décor, every modern room at Godfrey Hotel Chicago offers a 46-inch flat-screen LCD HDTV, a wet bar and a work desk with an ergonomic chair. Room service is available. 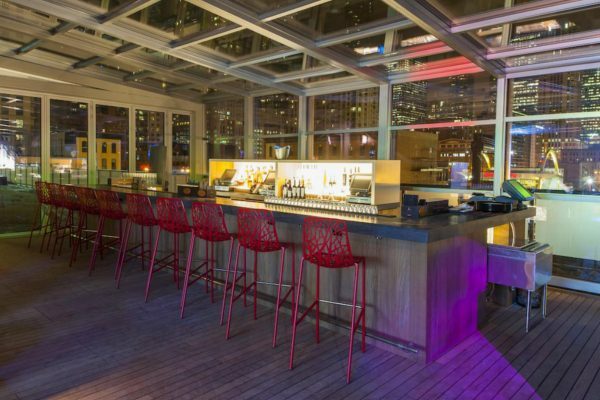 IO Urban Rooftop bar and lounge features a retractable roof, offering an indoor bar and outdoor lounge with fire pits. Dolce Italian is located on-site and serves traditional Italian fare for breakfast, lunch and dinner. 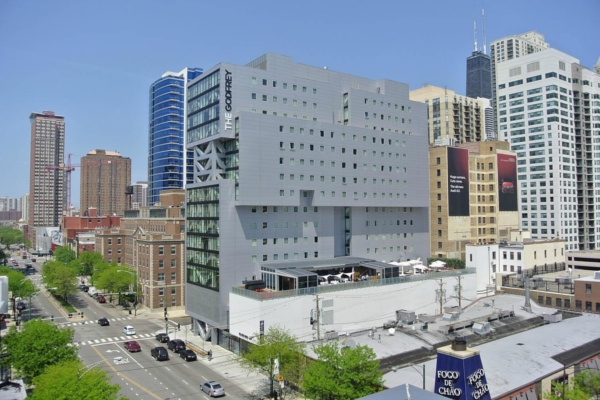 Millennium Park and the Art Institute of Chicago are both 2.4 km away from the hotel. Navy Pier is a 12-minute drive away. To book please call us in the office on 01 8336935 or fill in the booking form below. Non-refundable booking deposit of €250 required at time of booking. Remaining balance due 8 weeks prior to departure. To Book please complete the booking form below or call us on 01 8336935.